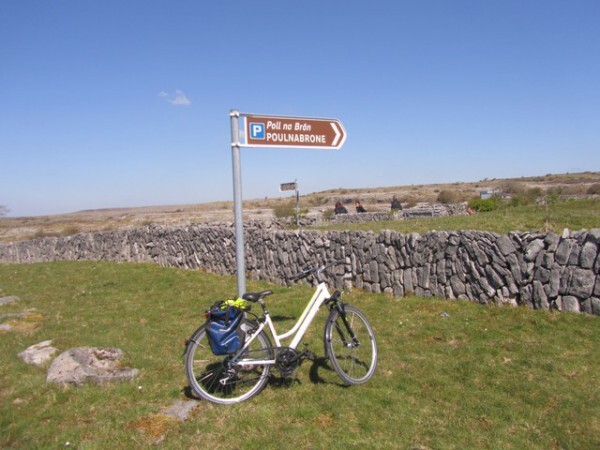 North Clare has 4 official cycling routes designed to minimise the exposure to heavy traffic. 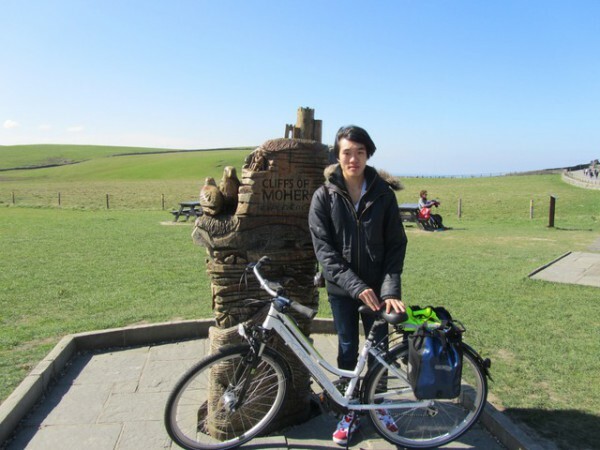 There are also a huge number of unofficial cycling routes which we will be happy to advise you on. Click on the image below to view the full PDF document detailing North Clares official cycling routes. 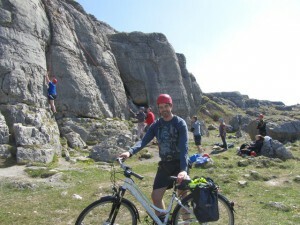 These routes are described in detail below. 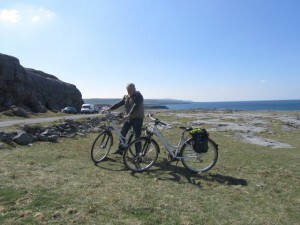 Starting in Doolin at the Bike Hire on Fisherstreet behind Village Crafts, cycle up the hill to the crossroads at Garrihys Filling Station and turn right towards the Cliffs. After 200m or so turn left and follow this small road for a few kilometers past 3 roads to the left. 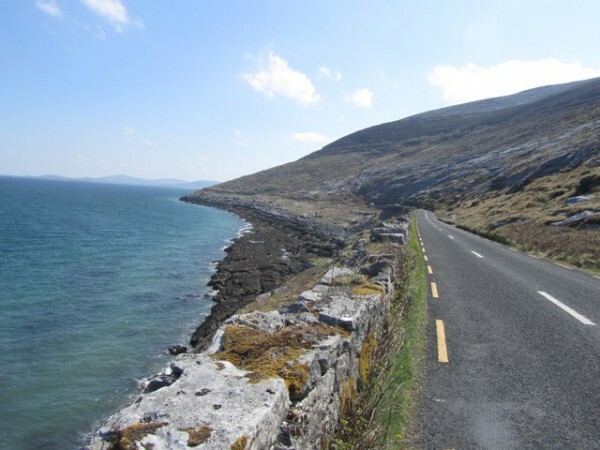 Follow the road as it veers around to the right and this will bring you back on to the main Doolin to Cliffs road. 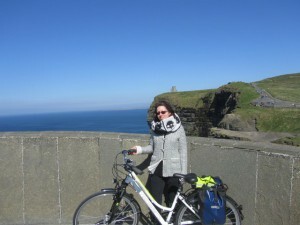 You can now visit the Cliffs in peace and return on the main road to Doolin. 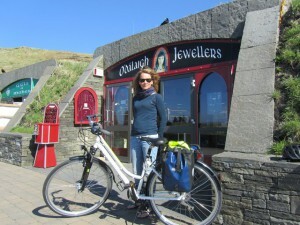 Starting in Doolin at the Bike Hire on Fisherstreet behind Village Crafts, cycle up the hill to the crossroads at Garrihys Filling Station and turn right towards the Cliffs. After 200m or so turn left and follow this small road for a few kilometers past 2 roads to the left. Take the next left and immediate right. This will take you down a steepish hill where at the bottom you again turn left and follow this road until you see a bridge to the right. Cross over this bridge and continue straight to the end at which point you will be in Ennistymon. There are numerous cool cafes to have a break in here. 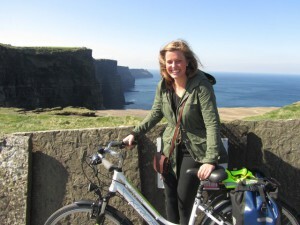 Once re-vitalised cross over bridge at Blakes corner and continue on to Lahinch, the surfing capital of Ireland. Turn right for Liscannor and take the right turn opposite Liscannor Bay Fish and Chips. 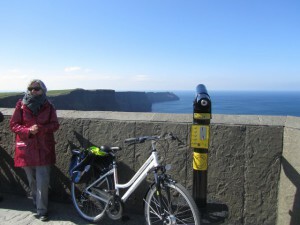 Follow this road as it brings you right back up to the Cliffs of Moher and continue along until you again reach Doolin. 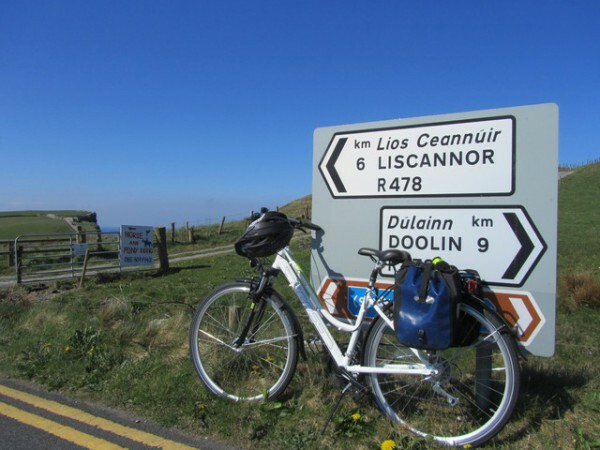 Starting in Doolin at the Bike Hire on Fisherstreet behind Village Crafts, cycle up the hill to the crossroads at Garrihys Filling Station and contiue straight through along the L1034 as far as a second cross-roads. 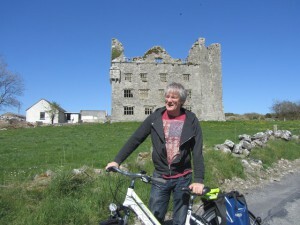 Again continue straight through until you reach Kilfenora, a lovely village where an episode of Father Ted is played out in reality every day. Turn left up by the Catholic Church and at the main square turn left again which takes you down past the new houses where the scene from Speed was filmed. 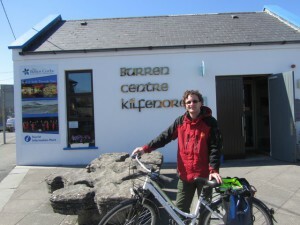 Turn right here at the bottom and contiue along this winding road through the Burren staying left at the church in Noughavel. Eventually you will exit at Caherconnel Ring Fort and veer left up to the Paulnabrón Dolmen. 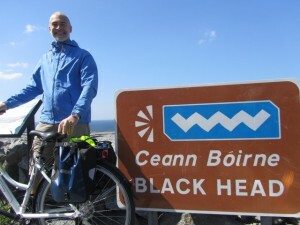 Again turn left here and follow this road back into Lisdoonvarna and eventually back into Doolin. 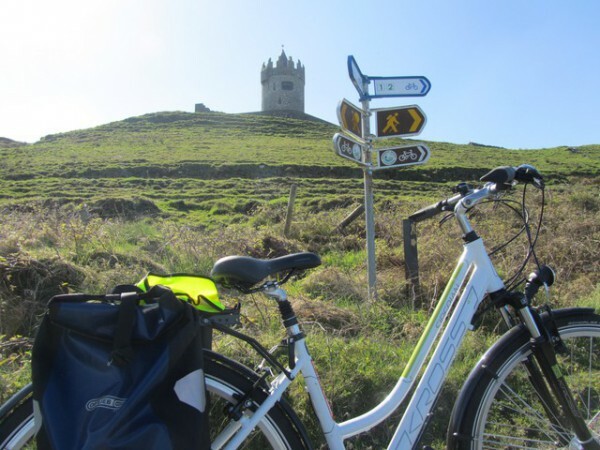 Starting in Doolin at the Bike Hire on Fisherstreet behind Village Crafts, cross the bridge and turn left taking you through New Doolin and up towards the Catholic Church and beyond until you reach a T-junction where you turn left. 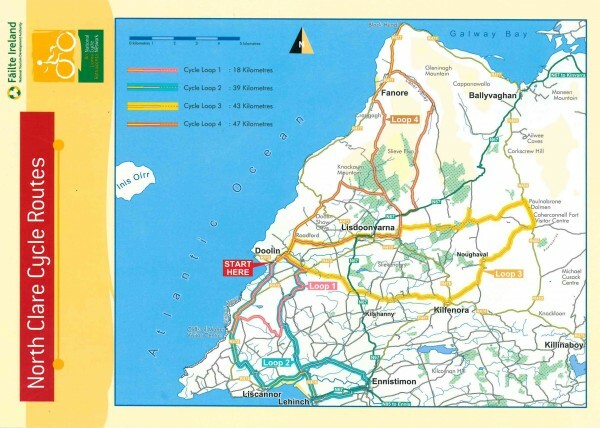 This route takes you right out on to the Burrn Coast road and into Fanore and on out to Black Head lighthouse where you can turn around and cycle back to Fanore and take the left turn up the Caher Valley at the small bridge over the gushing river just above Fanore Beach. Following this road will take you back onto the N67 which you can follow for a while before turning left at a cross roads and taking a back way into Lisdoonvarna and all the way eventually back to Doolin.